MIDNATTSOL is from Sweden. It is important for us to treasure our Swedish heritage with a focus on quality, science and innovation. Swedish products are known for it’s consistent quality and at MIDNATTSOL we work actively to always ensure best possible quality in whatever we deliver. MIDNATTSOL homeland is the country of the prestigious Nobel Price, naturally our company has a focus on science. We do so by carefully selecting active ingredients with scientific support. In addition we study our own concepts like TYMEDIKER™. The lingonberry seed oil capsules have been studied and proven effective at the Institute of Skin and Product Evaluation in Milan. In the MIDNATTSOL Innovation Program we aim to present news to all our treasurable customers on a yearly basis. Why Compromise When You Can Get the Best! The origin of the brand is the midnight sun of Nordic Countries. The nature in this area is extremely beautiful and clean. We think this is nature at its best. This extended light gives unique growth conditions for plants and berries enriching them in nutrients essential for healthy and beautiful skin. With our offers we want to enable you to be you at your best. 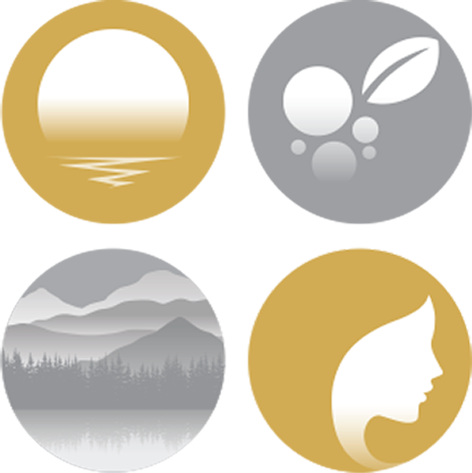 MIDNATTSOL range of products is based on extracts from fruits and berries having grown under the influence of the midnight sun in Nordic Countries.